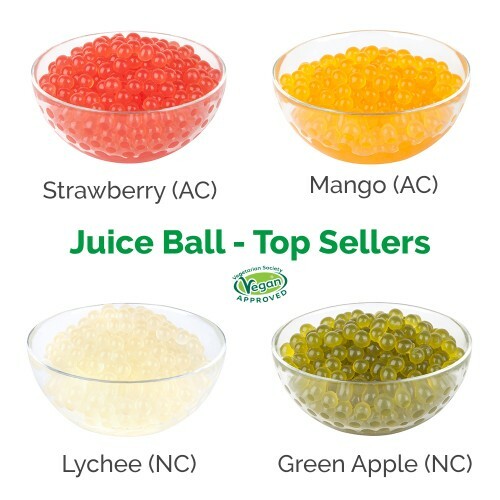 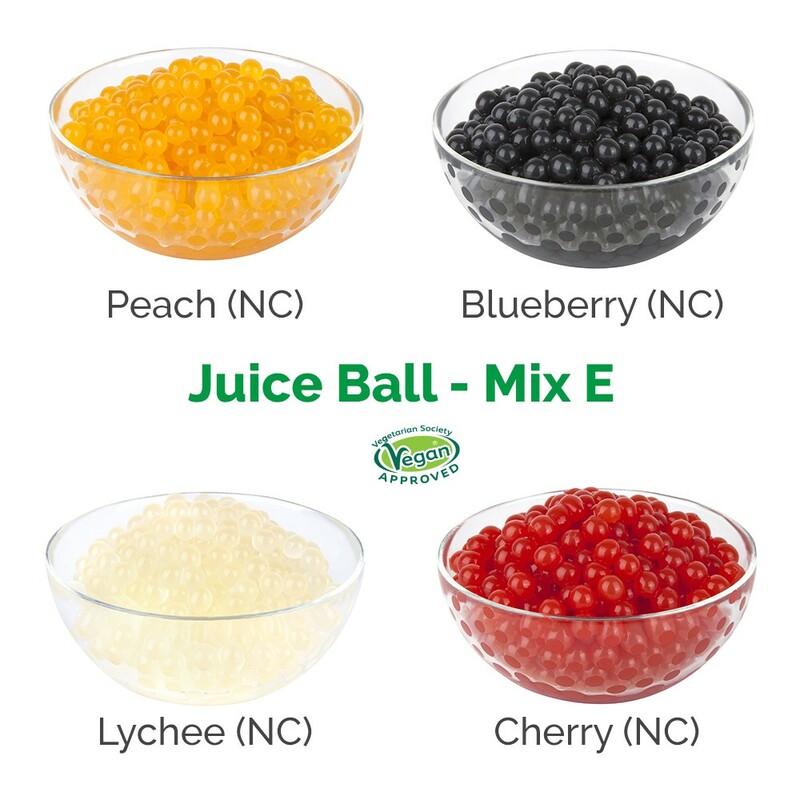 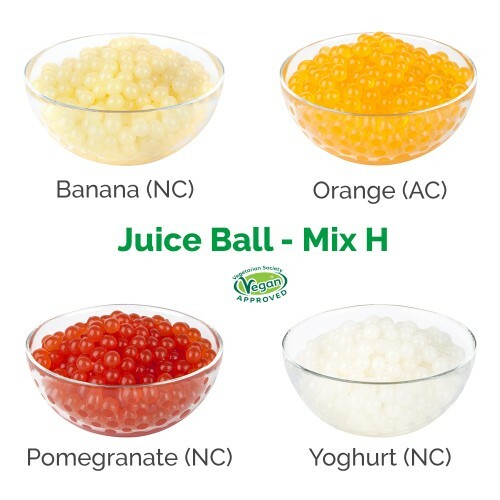 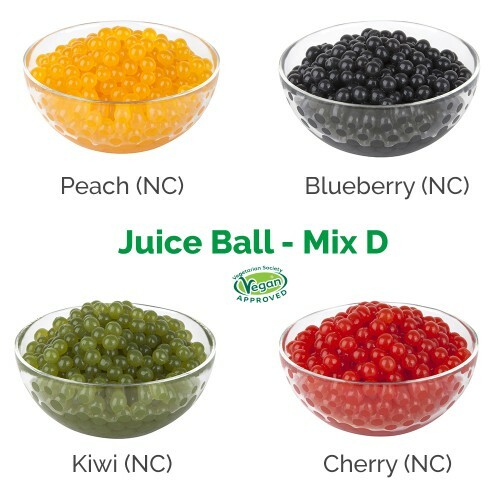 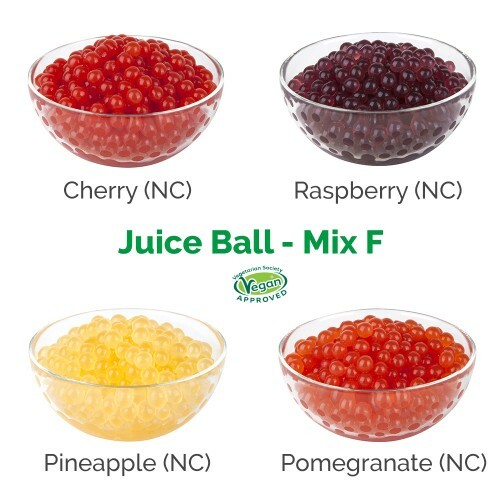 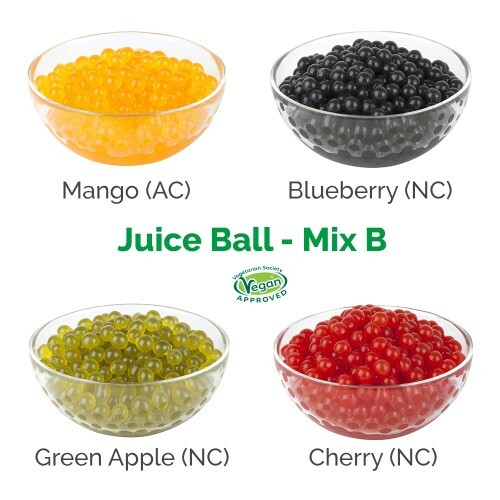 Juice Ball - Mix 63.00If buying in smaller units, our Juice Ball Mixers gives you the options to try a number of different flavours in one box. 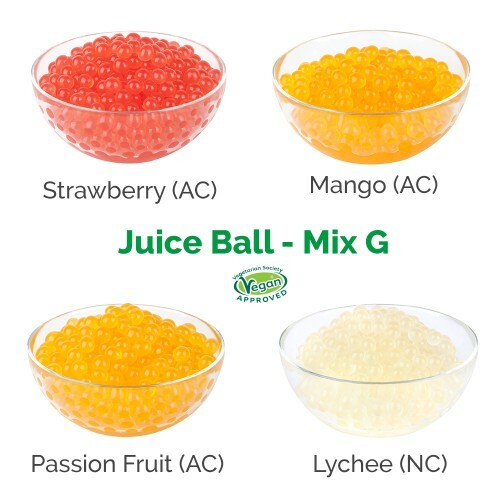 Add to drinks and desserts to give them a colourful, fun & delicious appeal. 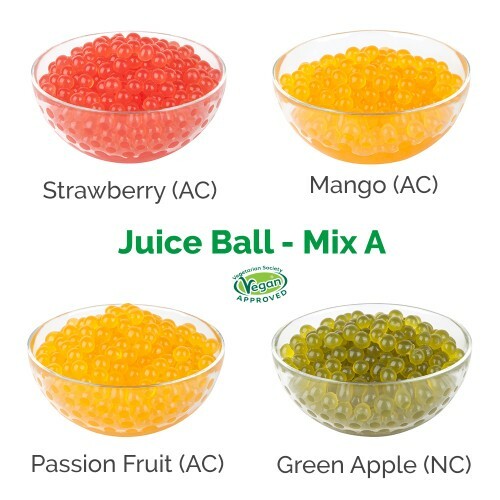 *AF are artificially coloured products. 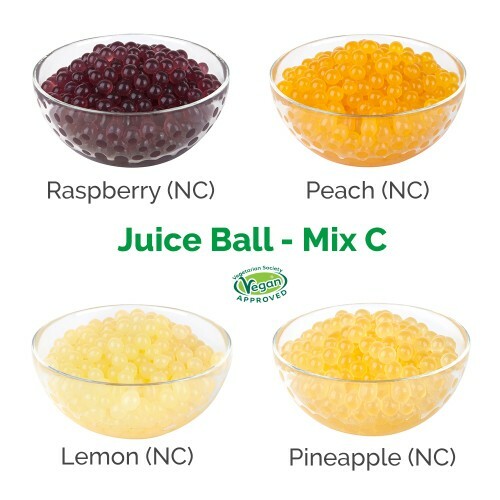 NC are natural coloured products.